I just watched Bully tonight. It is a most powerful movie. It puts on screen what Nao, in A Tale for the Time Being, experienced in her school. The film follows a few children as they endure abuse by their classmates on the bus, in the halls and on the playgrounds of their schools. It portrays the pain and shame, and the hopelessness they feel as their teachers, school leaders and even parents fail to protect them. It shows the pain of the parents who try to help their children and fight to get stubborn administrations to move towards protecting them. And it shows the torment of parents of children who despaired and took their lives. While the film did not touch on the cyber-bullying Nao was subjected to, it was able to portray the pain these children feel and make clear how suicide feels like the only option. The film fortunately ends on a positive note. In honor of one of the children who committed suicide, one father teaches himself about the internet, gets on Facebook and joins a movement to stop bullying. Called Stand For The Silent, the group encourages children to befriend a bullied child, and offers education and tools to children and schools to help the bullied. 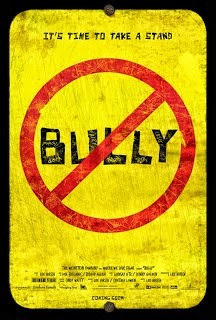 If you are interested in seeing Bully and hearing the reactions of others, come to the Central Library, 201 W. Mifflin St. on Wednesday, October 23 at 6:30 pm. After we view the film, a supportive, thoughtful discussion will be moderated by Susan Simon of WISC-TV3 News Team (WISC-TV3 has been sponsoring a Time for Kids Buddy project to encourage kids to be a buddy, not a bully). Amy Bellmore, PhD, UW Associate Professor of Educational Psychology and Dr. Joanna Bisgrove, Family Medicine Physician from DeanCare will join us for the discussion.